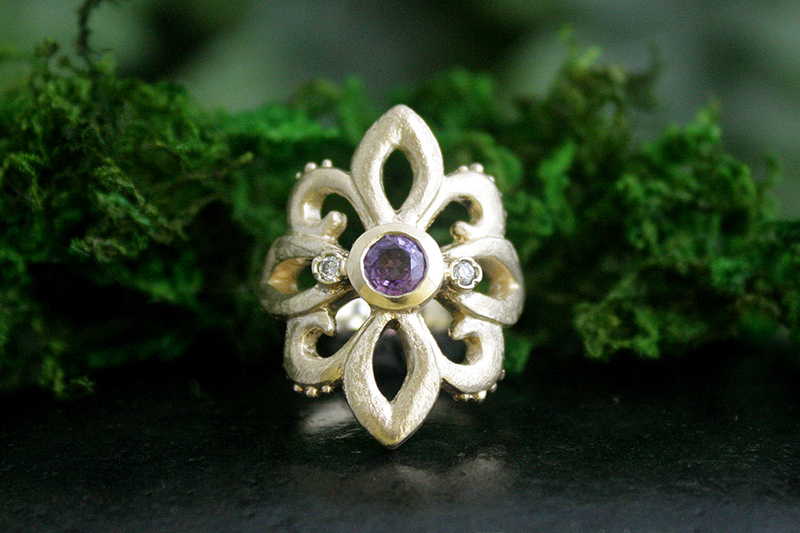 she’s a show stopping dazzler dressed in a blooming fuscia sapphire accented with diamonds…cocooned in 14k gold. 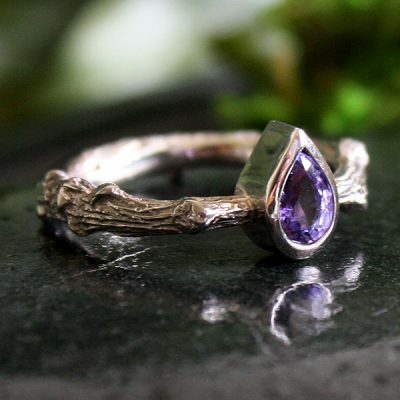 She is a bold 1 inch in length, and tapers to a 5mm wide shank. 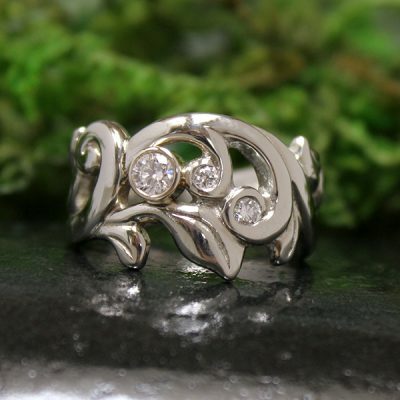 Hand carved, with love. 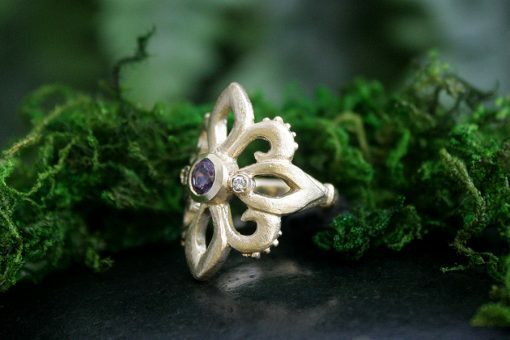 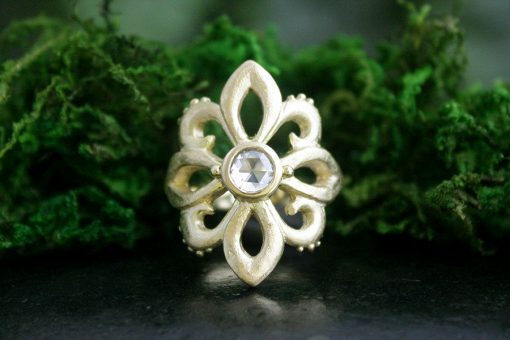 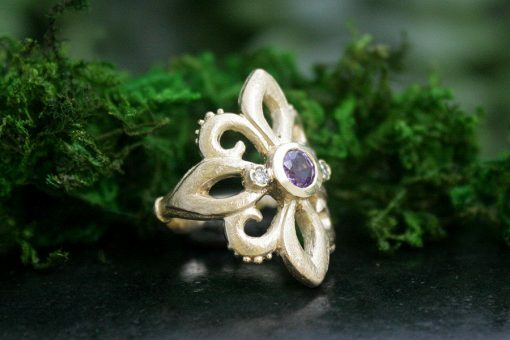 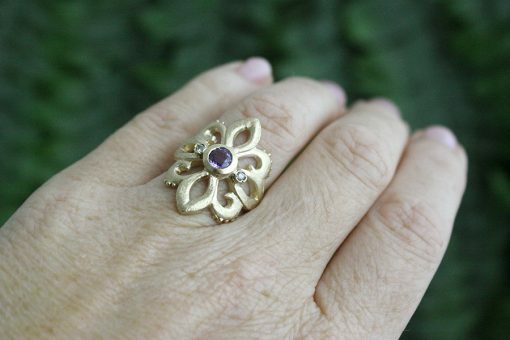 Made to any size….please inquire for Fleur de Lis in 18k gold, other coloured sapphires, and classic cut diamonds.